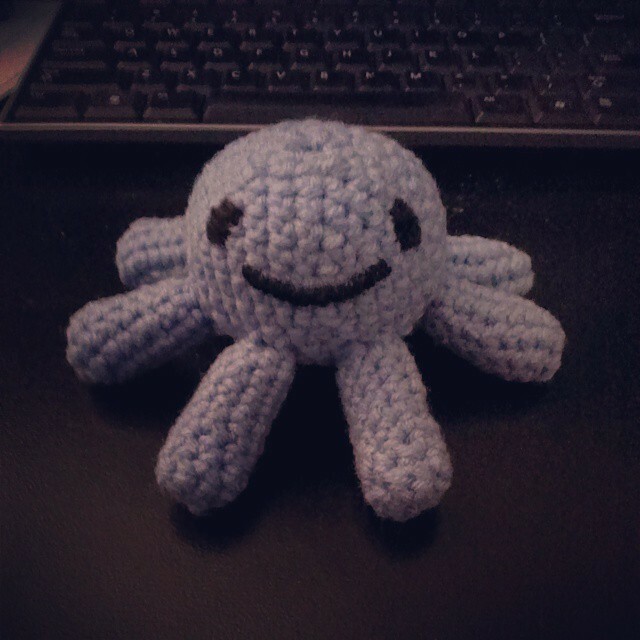 during the summer break between classes, I decided to teach myself how to crochet. I figure if I start now I can crochet everyone something for Christmas. I started out practicing the different types of stitches and made some bows. 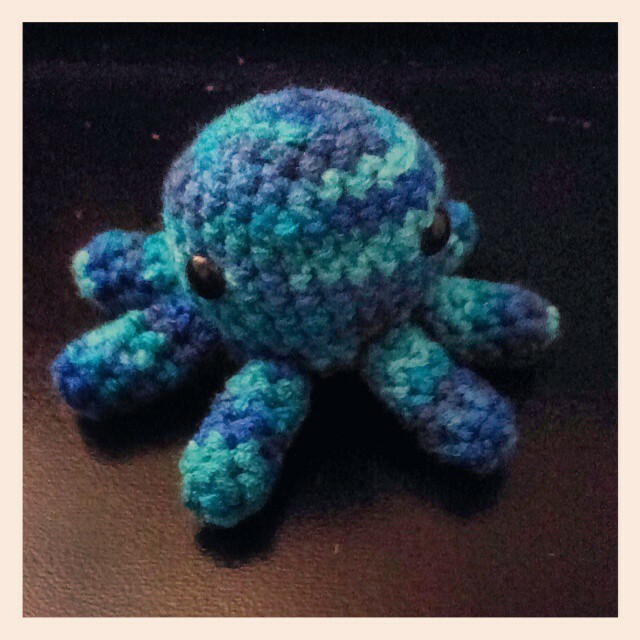 This one is a smaller octopus. 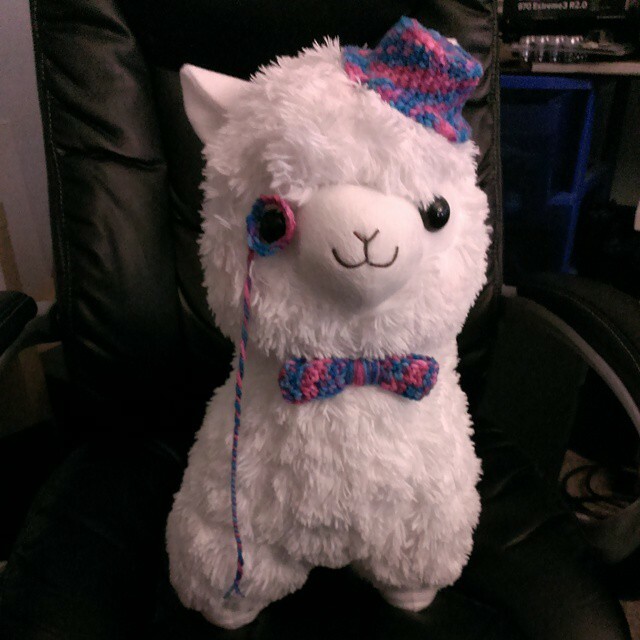 My alpaca needed some accessories. He will soon have a vest.